Jane Case Vickers and I have a show coming up April 3-28 in the Krempp Gallery at the Jasper Arts Center in Jasper, Indiana. 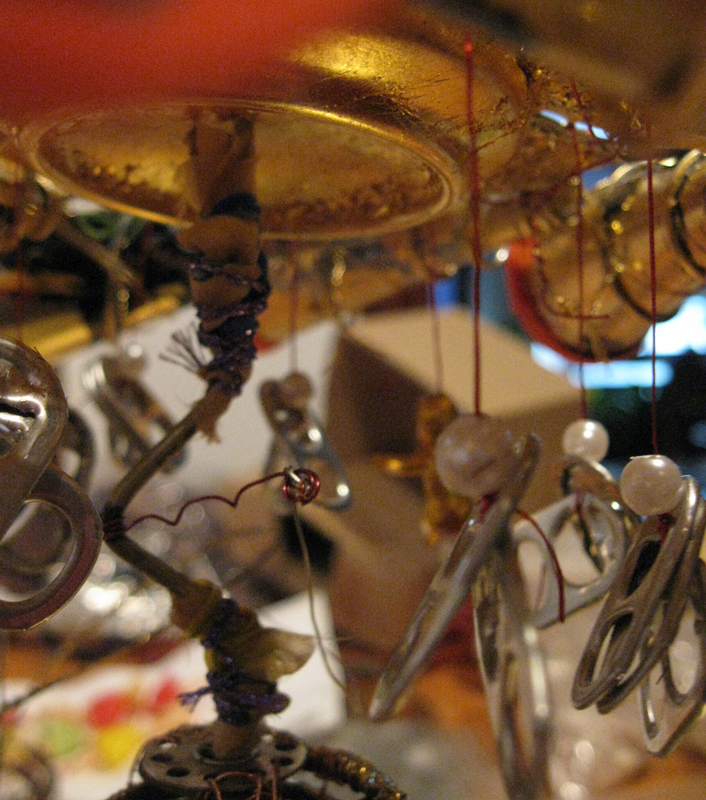 Our show will be made up of lots of found object sculptures, plus we’re thinking we’ll display some of our odd collections of trash and weird objects. 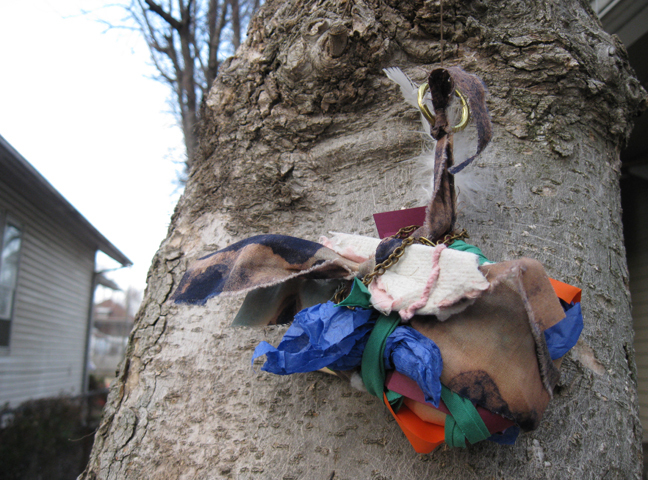 As part of all this, we’re experimenting with the concept of bundles of found objects and assorted materials that are left outside for the elements to weather. The items included in the bundles may have special meaning and that meaning can be enhanced by the weathering process. Pictured above is my experiment with the idea. I found a fragment of brick in my garden and wrapped it in fabric scraps and paper, some with a brief reflection about the brick written on them. The brick is a reminder of structures that were part of my backyard when the house was built more than 100 years ago. I tied the bundle to the magnolia tree in my yard. 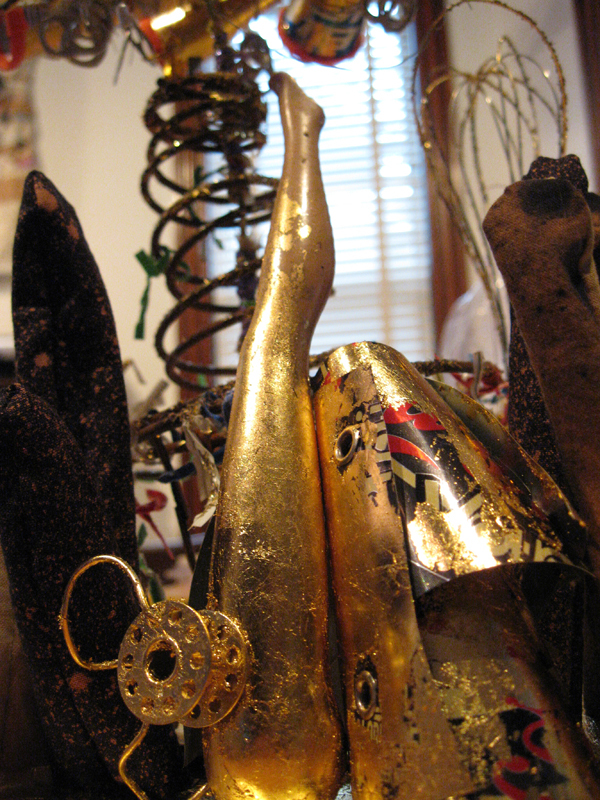 Here’s a post in honor of the Super Bowl…and my efforts to resolve the lower portion of this sculpture. I’ve got a couple deadlines coming up, so I’m committed to getting a good amount of art done today.